Thursday: I was writing directions on the whiteboard. "You need to finish your rural, urban, and suburban--" I paused, considering whether to write essay or writing prompt, and a student filled in, "--thingie." "Sure," I said, because it was amusing, and I wrote thingie on the board. The other students started laughing. "Mrs. Kissner," one said, "I'm surprised that you wrote that, because usually you're more formal." Thursday dismissal time: A student asked, out of the blue, "Mrs. Kissner, are you formal with your family, or informal?" Friday: A student came in from math breathless with excitement. "Mrs. Kissner, ___ and I are so informal all the time. We're starting the Awesy club--it's short for Awesome. Right, __?" The other student grinned from the other side of the room. "Totes." As we were comparing poetry, then, I decided to take a quick look at tone. Knowing how authors control word choice comes naturally from a discussion of formal and informal, and I was pretty confident that my students would be able to notice tones that were playful, thoughtful, and so forth. Identifying tone has students looking very carefully at a poem, selecting the words that show the tone. This is the kind of careful reading that I want my students to engage in. In a poem, however, authors can't use tools like music, lighting, or rainfall--all they have to work with are words. But the words can show a great deal. We looked at the poem "Classroom Creature"and talked about how the metaphor creates a playful tone. Students then tried to find the words that create this tone: ravenous and devour, when applied to a pencil sharpener, are playful. In this kind of activity, a word bank is very helpful for all students. Many do not have much experience with this kind of academic writing and need some examples of good adjectives to use. I used a scaffolded chart that showed students what they could look at to compare. Lots of great thinking went on as students worked on this. 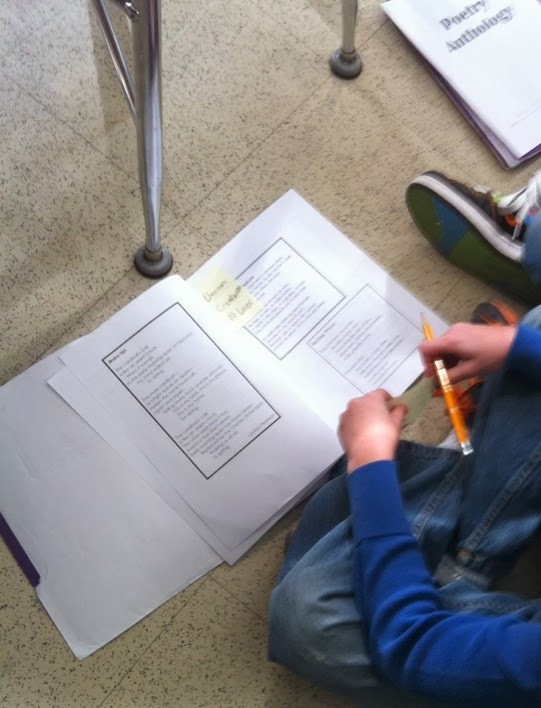 Even students who struggle with reading were able to read and reread the poems to consider the questions. The last box, "What the metaphor reveals about the subject", was difficult for some students. However, it gets at the heart of poetry. What was the speaker showing us about the pencil sharpener by making this comparison? Its usefulness? Its quietness? This is a deep analysis of the metaphor and its role in the text. Even though the poem is fairly simple, the thinking that students had to do was more complex. All in all, we had a great time talking about tone and how it is created in a poem. The next challenge will be to see if students can apply this independently! **I didn't think it was important to go into the difference between mood and tone at this point in time. If you think otherwise, please leave a comment! -The poems from this lesson are my own. They are included in my Figurative Language pack. You may feel free to use the poem and chart from this blog post for classroom use. -I finally have Daily Sentences in a folder on Google Drive. I've gone to Week 17 in creation, and I'm at Week 12 with my students. I'm so pleased with my students' progress and I think that this structure is working for them! Please send your Gmail address to me at elkissn@gmail.com and I will give you permission to view the folder and download the documents. 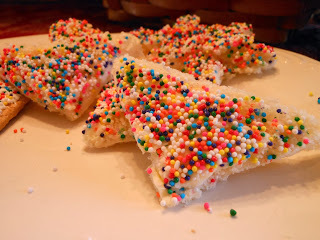 -Anyone still using the Spelling units? I'd love to hear your feedback--I'm thinking of making some changes for next year. Brrr! The playground is iced over and temperatures are too low for students to go outside. Many of us in cold areas are looking at many days of indoor recess. This means many days of game pieces strewn about the room and chaotic recess sessions. But indoor recess can be a cheerful, productive time. 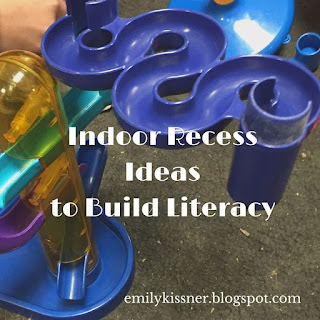 Here are some ideas for indoor recess that build literacy while also providing fun leisure time. "Mrs. Kissner, can we make a play?" The process of writing a script, assigning parts, practicing, and (most fun!) making props can span several weeks. It's interesting to see how students try to engage with this process. Often they try to start by assigning parts. I remind them to start with a script instead. Once a script is written, they either have sign-ups or auditions. I make copies of the scripts for students and they schedule practices for indoor recess time. Kids really enjoy the process--and sometimes revel in that overwhelmed feeling that one gets while undertaking a really big project. "Oh, Mrs. Kissner, this is so stressful!" one student said to me, with a tone approaching glee. As the big performance approaches, kids go at the construction paper to make every possible prop that might be needed for their play. It's lots of fun and a good way to cope with indoor time. Playmobil creates small toys that don't take up a lot of room. In my classroom, these toys attract lots of attention. I keep them put away most of the time to keep them "special", getting them out for cold spells and other times when we need a boost. I have a set with knights (weapons removed, of course! ), a kitchen set, and several fairy tale sets. Interesting groups of students gather around the toys. Over the years I've seen lots of little dramas unfold. Kids act out joint custody situations, camping adventures, and mixed-up fairytales. What's so neat is that these little toys naturally get kids to talk and share. Mancala is a great game for the classroom--widely available, easy to play, and quick. Generally, I give the tournament-organizing job to the kids who miss outdoor play the most. I guide them through the process of gathering sign-ups and making brackets. In some years, we run a beginner and an expert tournament; in other years, we just run one tournament. It depends on the skill level of the class. Once students sign up and the brackets are made, it becomes a great background activity. Mancala sets are borrowed from surrounding classrooms so that tournament play can go more quickly. The kids who are in charge generally supervise the games and fill in the brackets. Excitement builds as the semi-finals and finals approach! As with Playmobil, this activity draws together interesting groups of students who like to talk strategy and give each other tips. Recently a student wrote a story, and wanted a dragon picture to illustrate it. Instead of letting him just grab a picture from the web, though, I suggested a drawing contest. A prize of 20 coupons (our classroom currency) is at stake, with posters advertising the contest and the criteria for the illustration. Not only is this building interest in the story, but it is also giving students a chance to see multiple sides to the publication process. -How do the images enhance the words? -How are the purposes of the videos different? -Which text might you choose to learn specific facts? -How do these two texts enhance each other? In the end, both texts together really create a new kind of synthesis. They work together well to present an idea about cardinals and spring time. So much of current text comparisons have us analyzing the texts separately--what does this text do? What about this one? But now I am thinking that it is almost better to consider new questions. How do they work together? Which texts should be paired, and why? After we worked with the poem, I put on the Cornell Feeder Cam to fill up some transition time. I haven't used the bird cams much this year and I was interested to see how students would react. They loved it! I found two bird books that had been languishing on the shelves and the students eagerly leafed through the pages, trying to identify the birds that we were seeing. Even more surprisingly, some students were spontaneously making similes: "Mrs. Kissner, that bird is as fat as a truck!" (It was quite a plump evening grosbeak.) While no cardinals came to the feeder, we did get to see several woodpeckers and a nuthatch. 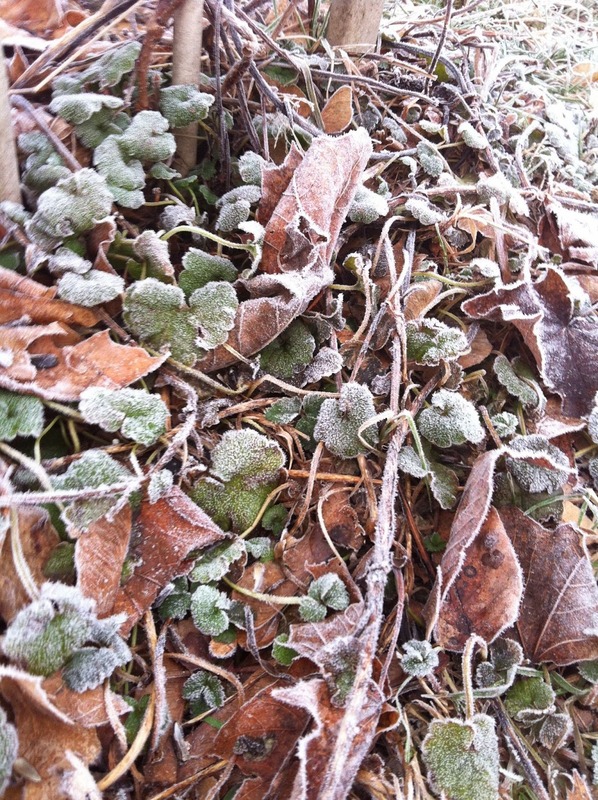 It was a lovely way to bring nature into the classroom on cold and frosty days. -You can find the Comparing Poetry activity on Frolyc. It is ready to publish to your students' iPads! -The cardinal poem and an informational text are also available in my Figurative Language pack. Great for RL 4.7 or 5.7! When planning for poetry, it's worth the time investment to put together a core set of poems. This can be as simple as a stapled packet, or more elaborate as a small book bound with a plastic comb binding. As I have worked through poetry over the last few weeks, I've given students class time here and there to read the poems in their booklets. As we learn new concepts, I get to hear them talk about familiar poems in new ways. Revisiting the same poems again and again helps students to realize that there are layers of meaning within poems, layers that may not be apparent on a first read. For example, on Friday, I taught about similes. Then the students scattered throughout the room, on a mission to find five similes to share with the class. "Look! There is a simile in this one!" a student said, bringing me Sea Fever. Other students were surprised to find the simile in "Twinkle Twinkle, Little Star"--a simile that they have probably sung since they were small children, but never noticed. Some of the poems in my poetry collection are included in our Readers Theatre scripts, which students are preparing to present on Tuesday. "Classroom Creature is a simile," one student said. "That's the poem that I'm reading for our scripts." Now, the poem in question is actually an extended metaphor comparing a pencil sharpener to a creature. But this observation, and the student's familiarity with the poem, allowed us to have the simile versus metaphor conversation pretty early. How great! Putting together a poetry collection to share with your class is a pretty easy task, and well worth the time investment. I have one already formatted for copying available in my Figurative Language packet, but you could easily make your own. Choose poems that show a wide variety of techniques, from simple and familiar nursery rhymes to more complex and thoughtful poems. Over the weeks of your poetry unit, you will be able to see students revisit poems to find new meanings and new techniques. -Our thank you letters unit is chugging along nicely! This week, the students loved taking sentences that were written formally and rewriting them informally. I've never seen this level of writing control in fourth graders before. Daily Sentences are now in a folder on Google Drive. If you are interested in viewing them, write to me with the Gmail address and I'll add you to the permissions. -As I am working on poetry, I'm beginning to dust off my nonfiction introduction unit, looking at which materials I want to use and which I want to adjust. 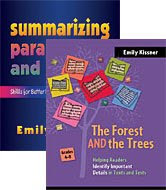 If you are headed in this direction, you may want to check out my book, Summarizing, Paraphrasing, and Retelling, or my Main Ideas and Details Unit. One of the mixed blessings of teaching elementary school is that I teach so many different things in a day. Take Monday. The day began with two reading classes, in which I tried to wrap up personification. Then it was lunch, and then spelling. Luckily spelling was easy with the introduction of Multiple Meaning Words. After spelling I moved on to science, with a lesson on living and nonliving things. It turned out really well, thanks to the handy acronym MRS GREN. Then it was time for writing, in which I introduced formal and informal writing. Finally I shepherded the students off to art, at which time I sat down for some co-planning with the special education teacher. Whew! I really enjoyed the reading lesson, in which I taught personification. Sometimes I get frustrated when people try to reduce personification to talking animals. Personification is so much more! On Monday, we worked with the poem "The Wind" by Robert Louis Stevenson. Our first step was to number the lines of the poem. Now, some people would think that this is a very low-level task. But it's essential for talking about poetry. As soon as we started I saw that this was a problem for some students. "Doesn't this mean that there is a choice?" one student asked. I looked to where she was pointing. In this day of bubble tests, she thought that the word "O" at the start of lines 5 and 6 was a choice like on a bubble test! Numbering lines helped me to quickly see this misconception and put it to rest. After reading the poem together, students went to work in different places around the room to answer some questions on their own. I do love reading and sharing poetry, but I also need to see what students can do on their own. I was able to circulate and help students individually, something that I love doing. Finally, students had to find an example of personification and use it to complete a scaffolded open-ended response question. The three parts to the question helped me to see where students were having trouble. Some students didn't pick a very strong example of personification. Others had trouble connecting the personification to what the author was trying to show. This is the heart of figurative language! Consider this exchange. One student chose "I felt you push, I heard you call" as personification. "What is the author trying to show us with this?" I asked. "That the wind is blowing?" she guessed. Across the table, another student said, "Can I tell her?" I shook my head but he persisted, making wind sounds. "What do you think the author is trying to show?" I said. Eventually she figured it out. "That the wind makes noise," she said. Exactly! On the other side of the room, a student wrote, "The author says that the wind sings because he is showing that the wind is whistling like a song. "When we got back together to share our responses, he came to share his at the document camera. This activity wasn't cute or glamorous, but it was meaningful. Looking deeply at examples of personification and asking the question, "What is the author showing us with this?" helps students to move into understanding longer and more complex poems. The holidays are over! Of course, being in Pennsylvania, I had school on Thursday and then a snow day on Friday--not really the smoothest start to the new year. In January I am forever behind where I think I want to be. But that single Thursday of instruction did let us finish up all of the personal narratives that students have been working on since October, so we can start fresh on Monday. After the holidays, I love taking a break from longer pieces of writing to write thank you letters. These little pieces of writing can provide so much mileage for instruction--formal and informal language, letter form, and addressing envelopes. This year I've put together a little presentation with examples of formal and informal language. The text boxes don't work properly in the embed and I'm not particularly motivated to fix it right now, but you'll find it downloads just fine. In our daily sentences, we'll be working on switching back and forth between formal and informal language--lots of fun for kids! Intermediate readers enjoy the humor of controlling their speech and tailoring it to the right situation. One of my wonderful colleagues suggested adding one of the popular Sprint commercials to our first lesson. (Not all of them are school appropriate, so do be careful if you choose to use them.) The humor in this commercial actually comes from the mismatch between the formal attire of the actors and the informal language they are reading. As we watch it together, students will use whiteboards to record some of the examples of informal language used. If you are writing thank you letters with students, be sure to send a note home to parents asking for stamp donations and the correctly written address of the person to whom students will be writing. I also get parent permission for students to use their home address for the return address. Most parents respond very favorably to this. Students who don't return to the parent letter write to someone at the primary school using our school's return address, which works out quite well. As I said, you can do a lot of teaching with a simple thank you letter! This quick little unit gets us refreshed and ready for the more rigorous essay writing that we will undertake at the end of the month. 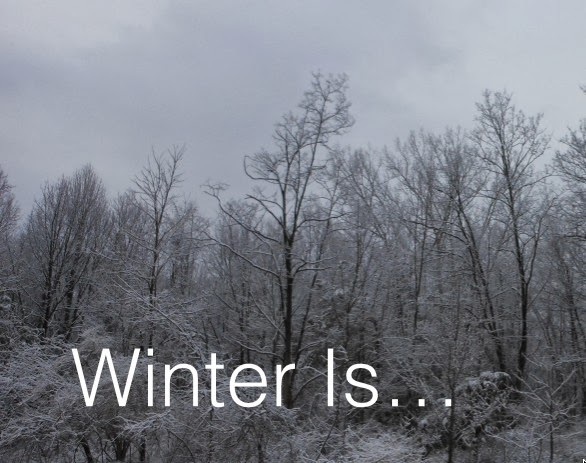 -Winter Is...a poem that I wrote when I was feeling rather annoyed with winter. My feelings haven't changed. -Blizzard Warning!...an informational text about the Northeast blizzard of 1978. -Happy Australia Day!...an informational text that compares and contrasts Australia Day (January 26) with Independence Day. If you are interested in specific resources for thank you notes, you can find a mini-unit here.